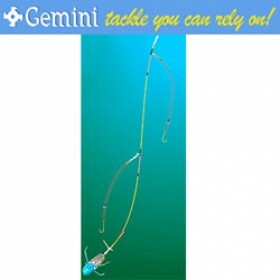 These rigs are tied using quality components and have accounted for many specimen fish all around the UK coastline. The 2 hook clip down can be used with any style of lead.The top snood is spring loaded, so will stay together in flight , and th Aberdeen hooks are super sharp.The smaller hooked traces would be ideal for targetting flatties or bream, whilst the 1/0 and 3/0 would be great for shoal species such as cod, whiting or bass. Tronix rigs are equally at home on the shore or boat. 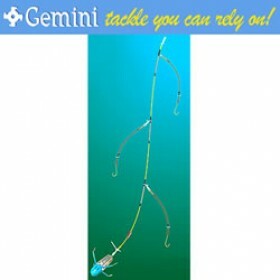 FREE Delivery on all Tronix Rigs for sea fishing over £100!! !